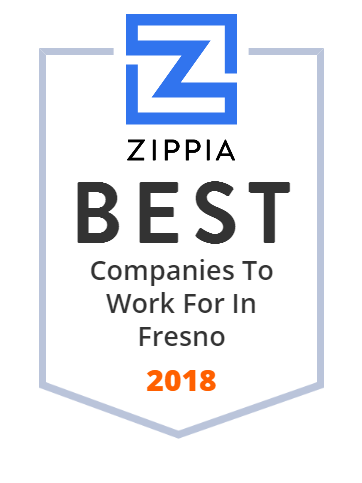 We hand-curated a list of the best companies to work for headquartered in and around Fresno, CA using data on salaries, company financial health, and employee diversity. GW School Supply has been helping teachers teach and children learn since 1932. They carry a big selection of educational products for home and classroom use. This privately owned and operated company has recently added a large selection of toys in their "Toy Zone" area. Headquartered in Fresno, California, GW School Supply also has a location in Bakersfield, California. Since its inception, LOAN Servces Inc. has been true to its mission of serving their customers with honesty, integrity and competence. Their goal is to provide home loans to their clients while providing them with the lowest interest rates and closing costs possible. Furthermore, they pledge to help borrowers overcome roadblocks that can arise while securing a loan. Fresno City College also known as FCC or "Fresno City" is a community college located in Fresno, California. It is part of the State Center Community College District (SCCCD) within the California Community Colleges system and accredited by the Accrediting Commission for Community and Junior Colleges of the Western Association of Schools and Colleges. This reputable school offers Associate degrees and certificates. Founded in 1954, Meeder Equipment Company is one of the leading LP Gas equipment companies in the United States. It distributes LP-Gas equipment and offers gas control, gauge accessories, tank valves, pumps, stoves, burners, and other related products. Meeder Equipment is headquarted in Fresno, California. A leading merchant in the international market for grains and feed-by products, Penny Newman Grain Co. has been serving farmers and feed manufacturers worldwide since 1878. Headquartered in Fresno, California, this innovative company also has an office in Tennessee as well as transloading and shipping locations throughout the United States. Penny Newman's operational divisions include grain merchandising, by-products merchandising, liquid feed, bulk cargo terminal (Port of Stockton), planting seed and raisin tray manufacturing. Since its inception, Custom Ag Formulators has proven to be a success and has grown into a national and international provider of agricultural products. In 2014, they moved into their state-of-the-art manufacturing facility which has enabled them to increase their production abilities in both liquid and dry blending. With bulk capacity and rail service, their Fresno Headquarters has allowed them greater flexibility in production, warehousing, and logistics. Headquartered in Fresno, alifornia, Central Valley Classics offers a wide array of cars. This trusted company offers vintage cars, classic cars, muscle cars, hot rods, street rods, specialty cars and project cars for sale. This privately owned and operated compay also does classic car restorations and pre-purchase inspections. Central Valley Classic has nearly $10million in revenue and around fifty employees. Since 1929, Saint Agnes Medical Center has been known for delivering high-quality, compassionate care to meet Central California's growing and diverse healthcare needs. Headquartered in Fresno, California, Saint Agnes Medical Center has the most advanced equipment and facilities as well as top-ranked physicians and staff. They offer emergency, diagnostic, surgical and maternity services to cardiac, cancer, neuro and orthopedic care. Matson Alarm is one of the premier companies in the internet software and services industry that provides complete alarm systems and home automation in Central California. Known for their cutting-edge and quality work, this privately owned and operated company creates a customized security package that's just right for their clients. Matson Alarm has around 100 employees and a revenue of up to $100 million. Clawson Motorsports is an authorized dealership in Fresno, CA. It provides a large selection of new models, also carries a wide variety of pre-owned models. Services include general repair & maintenance, painting & refinishing, performance tuning, restoration, etc. Its latest offerings are Polaris snowmobiles that they presented in 2011. Clawson Motorsports is located near the areas of Clovis, Madera, Modesto, Visalia, Hanford, and San Jose. Founded in 1994 and based in Fresno, CA.